This is the remarkable true story of four friends from San Francisco who had a lifechanging epiphany at a Bette Midler concert that led to them to form The Kinsey Sicks in an effort to find joy during the darkest days of the AIDS crisis. Now that the era of Trumpism is upon us, they’re sharing their hilarious, inspiring and at times heartbreaking tale, and showing that hatred and deceit can be fought with humor and heart. This show was a smash hit Off-Broadway at New York’s fabled SoHo Playhouse. Critics have described the show as “powerful,” “provocative,” “delicious,” “subversive,” “hilarious,” “stirring,” “exquisite,” “electric,” “outrageous," “heartbreaking," “brave,” “mesmerizing,” “flawless,” “superb," "incredibly moving,” ”inventively diabolical,” “riotously funny,” "vitally significant,” “an absolute must watch," and "theater at its BEST"! Views expressed in the show do not necessarily reflect those of CAMP Rehoboth, the Board, or the staff. 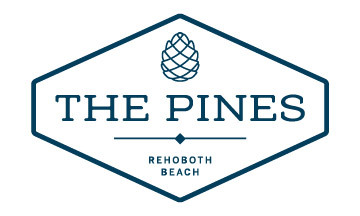 PRESENTING SPONSOR: The Pines Rehoboth Beach, a modern coastal tavern, now open on Baltimore Avenue.